This is a one of our newest Volunteer Service Project (VSP) sites in Guatemala. Centra Maya is a non-profit organization that works to provide free comprehensive rehabilitation services and social inclusion for people with disabilities in San Juan La Laguna and neighboring towns. Volunteers are wanted at our latest site in Guatemala. 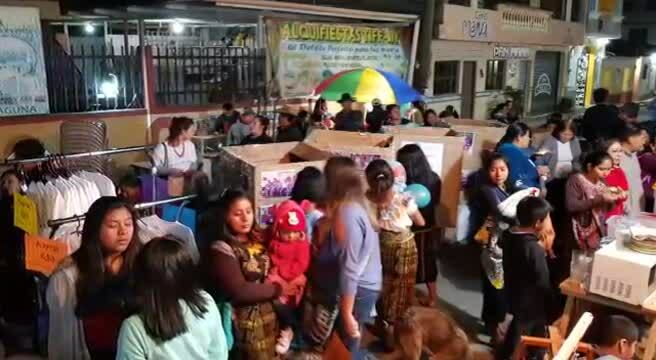 A unique program called Labor Inclusion (Alma de Colores) trains youth and adults in the areas of handicrafts, baking , sewing, running a coffee shop and so much more. Centro Maya Integral Service is far from being something exclusive for children with disabilities, over the years new services have been opened that help the labor inclusion of people with disabilities and also psychological services for children who report behavior problems or family services. The volunteer(s) should support the activities that the center organizes bringing his/her enthusiasm and knowledge to individuals with disabilities. Centro Maya Servicio Integral is a non-profit organization that works to provide free comprehensive rehabilitation services and social inclusion for people with disabilities. It is situated in San Juan La Laguna, on Lake Atitlan, and neighboring towns. Centro Maya works in a rural context where people with disabilities cannot access basic services nor achieve social inclusion because of the persistence of taboos and the idea that disability is a burden. With poverty already a constant reality, most families cannot afford nor see as a priority the rehabilitation of people with disabilities, which is why Centro Maya works to break down all barriers between society and people with disabilities, as well as to improve people’s quality of life and access to services. Understanding the importance of comprehensive work, we have developed a personalized therapy and education plan for each user with a team of Guatemalan professionals, local trained staff, and volunteers. Our work goes beyond rehabilitation and into inclusion for people with disabilities in each area of their life as well as in their communities. Above are some of the items IASE donated to this amazing site. We further enjoyed a freshly cooked meal from their organic garden too! Early Stimulation: We work with children aged 0-6, valuing the importance of early intervention to enhance and develop skills, integrating parents in the activities to ensure the follow-up of the therapies at home. Special Education: For users with special educational needs aged 7 on wards, as well as those who need to enhance and strengthen some educational areas, such as for labor inclusion and attendance to public government schools. Physiotherapy: Includes temporary and permanent physical rehabilitation to promote independence in daily life. Speech Therapy: Considering the importance of communication and expression for needs and desires in daily life, we work on the rehabilitation or implementation of new communication strategies for users to allow them, if needed, to generate their own language and communication systems. Psychology: We provide therapies in the field of disability and clinical support, as well as work with public institutions to provide support to sexual or domestic violence victims, conduct problems, and support to parents and users in their process of acceptance of the disability. Medical Services: Open to Centro Maya’s registered users and the wider community, we provide what at the departmental level is called ‘therapeutic accompaniment’, giving general medical evaluation and arranging visits to specialists, medical control, and required tests. When possible, medicine is provided for long-term illnesses. Music and Theater Therapy: Giving support to the different areas through musical elements (sound, rhythm, melody and harmony), this therapy is used to facilitate and promote communication, relationships, learning, movement, expression, organization, and other relevant therapeutic objectives in order to meet physical, emotional, mental, social, and cognitive needs. Labor Inclusion (Alma de Colores): We train youth and adults in workshops of handicrafts, sewing, and bakery and, since 2015, in an organic vegetable garden and a coffee shop and restaurant, all dedicated to their labor and social inclusion. Asociación Centro Maya Servicio Integral is a Guatemalan nonprofit organization located in the town of San Juan La Laguna in Sololá which works in favor of people with disabilities residing in Lake Atitlán. 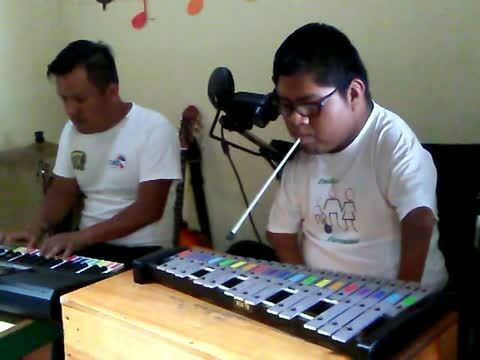 While working with this site as part of our Volunteer Service Project through the International Association of Special Education, Edgar the music instructor and his student Manuel performed for us this special piece. Manuel truly loves music but can only practice during a class once a week. We were so touched to hear his story that we provided funds for Manuel to have his own xylophone. "Both Manuel and Edgar are very excited for him to be able to practice whenever he wants now and we're sure that it will have an amazing effect on his performance at future music festivals and concerts." Enjoy the festival of 'inclusion.' It is truly inspirational!